The Metropolis of San Francisco Philoptochos is a dynamic group of women whose support and love for those in need has made a difference in thousands of lives throughout their distinguished history. Their ministry has been indispensable in their service to our parishes and to our Metropolis, and I am grateful for their faithfulness and commitment to serving others. Philoptochos is an integral part of work in teaching the Gospel of Jesus Christ and we are blessed to have them as partners in our ministry. Seated row, left to right. Welcome to the Metropolis of San Francisco Philoptochos website. We have developed this as a resource for our 58 chapters and over 4,000 members so that we can improve our communication, share ideas and enrich our collective ministry to serve those who are in need of our love, care and compassion. hope and faith in You. Where there is hatred and strife, may we be peacemakers producing the fruits of love and reconciliation. Throughout the nation women’s clubs were being formed: in New York City, Chicago, Lowell, Philadelphia, Birmingham, Boston, San Francisco, Washington, D.C., St. Louis, Milwaukee, Newark, and wherever there were Greek Orthodox Churches. In 1902, the first Ladies Philoptochos was officially established at the Holy Trinity Church in New York City, under the spiritual guidance of Father Methodios Kourkoulis, and the leadership of three prominent ladies in the Greek community: Mrs. Anthony Rallis, Mrs. Nicholas Calvocoresis and Mrs. George Galatis. The Society applied for a charter to the State of New York as a philanthropic agency engaged in charitable activities rendering services to the poor. In 1909, a Philoptochos Society was formed in Chicago, utilizing the facilities of the Hull House, a social center, as its headquarters. Miss Jane Addams, a fervent phil-Hellene, was the director and founder of Hull House, and rendered immeasurable services to the Greek community. The first tangible evidence of the benevolence of Greek women was officially recorded on June 29, 1920, in a volume edited by the Rev. Dr. Demetrios Constantelos, in a compilation of encyclicals of the Greek Orthodox Archdiocese, spanning more than eighty years: “Encyclicals and Documents of the Greek Orthodox Church of America – the First Fifty Years”. A document included in this volume is a letter addressed to Archbishop Alexander of Rodostolou from Mr. J.P. Xenides, who was the secretary of the Relief Committee for Greeks of Asia Minor. The letter thanked the Archbishop for contributions received, among which was a $200 donation from the Greek Women’s Benevolent Association of Chicago. This was in response to the appeal Archbishop Alexander had sent to the Churches and individuals – probably in 1919 – urging the Greek Orthodox in America to deprive themselves in order to send a generous contribution to the victims of Turkish “barbarism”. In 1922, The Greek Orthodox Archdiocese of North and South America was founded and received its incorporation from the State of New York, His Eminence Archbishop of Rodostolou was the first Primate of the Church. The Archdiocese was organized and functioned under the ecclesiastical and spiritual jurisdiction of the Ecumenical Patriarchate of Constantinople. After several years the State of New York granted a Charter to the Holy Trinity Philoptochos Society in New York City which was received on July 23, 1928. This Charter or Incorporation was issued under the Membership Corporation Law, in the name of the “Greek Ladies Philoptochos Adelphotis of New York, Inc.” thereby recognizing it as a local philanthropic organization. On February 28, 1931, Archbishop Athenagoras was enthroned as Primate of the Greek Orthodox Church in North and South America. He was highly regarded as a man of vision with extraordinary administrative ability. A new era in the life and mission of the Greek community commenced under his leadership. These were turbulent times for the Greeks in America. Archbishop Athenagoras soon realized the urgency of providing adequate philanthropic and relief services to the poor and suffering omogenia. With the convening of the Archdiocese Fourth General Assembly in New York City in November 1931, the Philoptochos Society was an important item on the agenda. 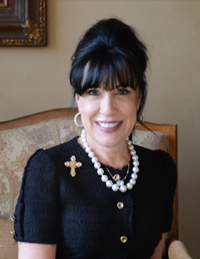 A decision was taken to establish a national women’s organization as the official philanthropic auxiliary of the Church, merging all of the existing chapters, which numbered more than 300, to function under the Archdiocese constitution with specific By-laws issued for the Philoptochos. 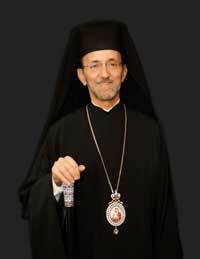 Archbishop Athenagoras, immediately set about developing the proper legal structure for the new organization. Cognizant of the fact that the Holy Trinity Philoptochos had received its incorporation or charter from the State of New York, the Archbishop and executive committee of the Society deemed it prudent to utilize this Incorporation. Mrs. Eriphili Vrachnos, President of the Philoptochos, presented the Charter to Archbishop Athenagoras, and Central Council was appointed which included the executive committee of the Holy Trinity Philoptochos Society, and the presidents of all Philoptochos Chapters in the greater New York Area, with the Archbishop serving as President. The ladies were as follows: Despina Rallis, Amalia Feramoschos, Eriphili Vrachnos, Despina Vlahakis, Elpiniki Zogdu, Matina Politou, Panagiota Atheneou, Aikaterini Gamanos, Olga Kallimachos, Stella Korakidou, Sofia Limberopoulou, Maria Xenicou, Aikaterini Papagiannis, Alexandra Falbo, Eleni Christidou, Zenobia Psakix, Aglaia Polyzoidou. 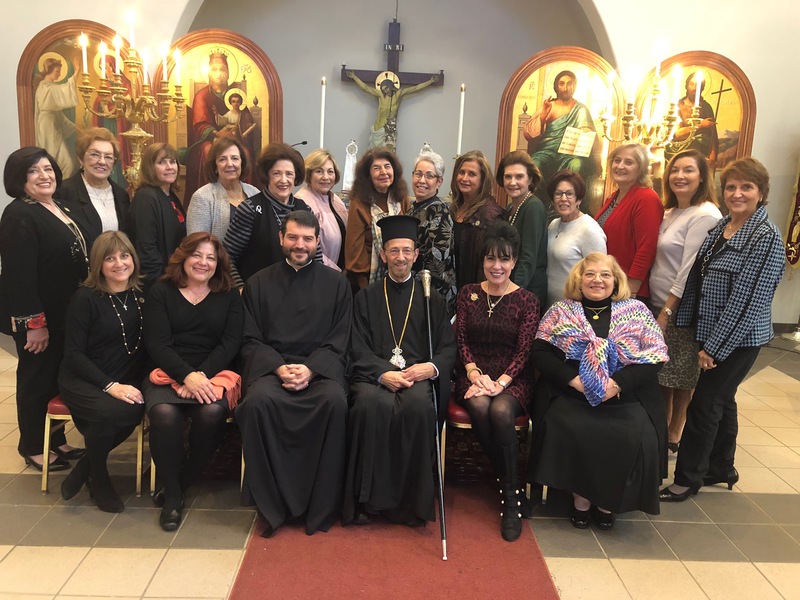 This became the nucleus of the national Federation of Greek Ladies Philoptochos Societies of the Greek Orthodox Archdiocese of North and South America. For the next several months, the Philoptochos Societies continued their work, aiding the sick, the needy, the poor, the imprisoned, and the impoverished. They served on educational committees, organized choirs, baked the “prosforo”, sewed the Altar cloth, offered friendship and fellowship to newcomers, and supported a variety of civic and community programs to raise funds for their respective parishes. On October 20, 1932, Archbishop Athenagoras issued his first encyclical to the Philoptochos Chapters, listing a series of By-Laws and Guidelines under which the organization would function under the Constitution of the Archdiocese. The Archbishop expressed his “joy” for the opportunity to “send this important communication to the Greek women of America”. He acknowledged receipt of the documents on the organization of the “Adelphotis – Sisterhood, in accordance with the Constitution of the Archdiocese” and the ratification of the Society’s elections. The Central Committee of the Adelphotis was established in order to strengthen the organization, to serve the local chapter and to present an organized program to the Greek community. A very important task has been entrusted to the women. We will not mention here the decades of philanthropic activities of the Greek women in the social and philanthropic sector, however the desired results were not achieved due to the lack of a systematically structured organization, with the proper authority to guide this effort. “The Fourth General Assembly of the Archdiocese, convening at the Annunciation Church in New York City from November 14 – 20, 1931, voted this authority and ratified a Constitution which will be of valuable assistance to you.” The encyclical also stated that in Article 9 of the By-laws under the Constitution, required that the Priest serve as President of the Philoptochos in order to offer counsel to the local organization. The officers of the local Philoptochos chapter shall be elected by its members, according to Article 9. The Archbishop requested that the “Philoptochos plan many events for the entire family, featuring music, lectures, performances, sponsoring bazaars and the St. Basil’s pita, charging a small admission fee and having a raffle. For the children, develop a separate club under your Chapter, which should have its own President, present children’s observances and meetings, so that the youth will become accustomed to your good example and will be of greater interest to them”. He asked that they study the By-laws and implement them for edification of Greek Orthodox Christians in America. Please contact the City Hall, the Welfare Department and the American philanthropic offices in your city to make your work more fruitful. “The Archdiocese has acquired two homes and orphanages at Pomfret, Connecticut, and the St. Stefanos Monastery at Gastonia, North Carolina. It is urgent that we establish a children’s home and orphanage and I would be happy if you would undertake the sustenance of the orphans of the community.” The historic encyclical inaugurated the National Philoptochos Society, encompassing every aspect of service Archbishop Athenagoras envisioned for the organization to assist the Greek Orthodox community. Following this initial encyclical from Archbishop Athenagoras granting official status to the Ladies Philoptochos as a Archdiocesan philanthropic organization, the mission of the Adelphotis began in earnest to comply with the By-laws and to serve effectively the Greek community. In October, 1935, the first general assembly of the Philoptochos Adelphotis was convened in Boston with Archbishop Athenagoras presiding. The sessions were held in the Saints Constantine and Helen Church in Cambridge, Mass. In his letter to the Philoptochos Chapters and the other women’s clubs invited to participate, the Archbishop listed the following: The Hotel Minerva in Boston was designated to house the delegates. Room rates $2.00 per day. Luncheon was available at a cost of .50 cents. Dinner at a cost of .75 cents. A letter from His Holiness Patriarch Photios was read to the delegates and elicited great joy among the ladies.